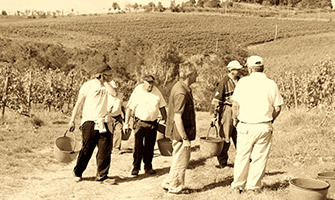 In our 250 hectares (600 acres) of vineyards, we implement innovative cultivation techniques based on sustainability and respect for the environment. Vine densities are optimized to increase competitiveness between plants, limit the production per vine and guarantee better grape quality. 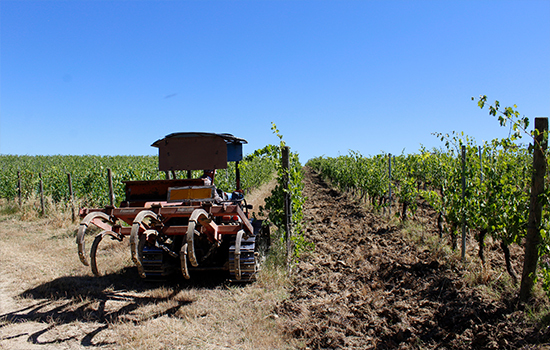 When we began replanting our vineyards in the mid-1990’s, we adopted planting densities of 4000 to 5000 plants per hectare, depending on the type of terrain and rootstock selected. The space between rows is 2 to 2.5 metres, while along the rows it is 0.9 to 1 metre. The prevalent trellising system used at our estates is double spurred cordon for the red grapes, while some white varietals require the double guyot system. Winter pruning is short, leaving 1 bud on each spur for the reds destined for our reserve wines and 2 buds on those destined for medium-bodied wines. 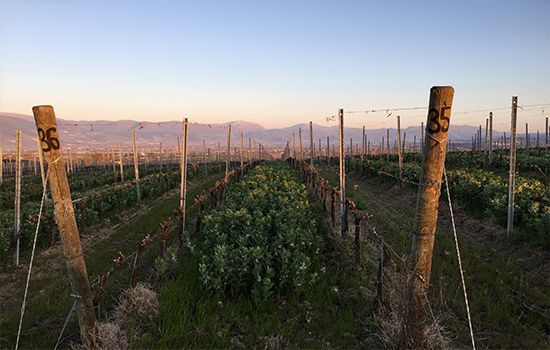 This bud count results in a yield that varies from 1 kg per vine (Rubesco Riserva VIgna Monticchio, San Giorgio and Sagrantino) to 2 kg (Rubesco, Rosso di Montefalco), up to 3 kg per vine for the young red wines. 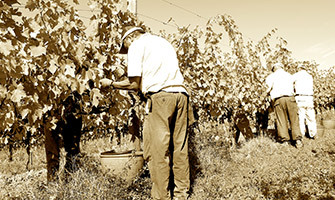 The production for the whites is approximately 2.5 – 3 kg per vine for the reserve whites (Vigna Il Pino and Aurente) and 3 kg for Torre di Giano and other fresh white wines. Green pruning in spring and summer is very important. The removal of buds, shoots, leaves and bunches during the growing phase influences vine growth during its most active phase, it has even greater impact than winter pruning. Our goal is to guarantee that the grape components preserve the primary aromas and the precursors of the secondary ones in the white varietals, while in the reds we aim for optimal concentration and balance. 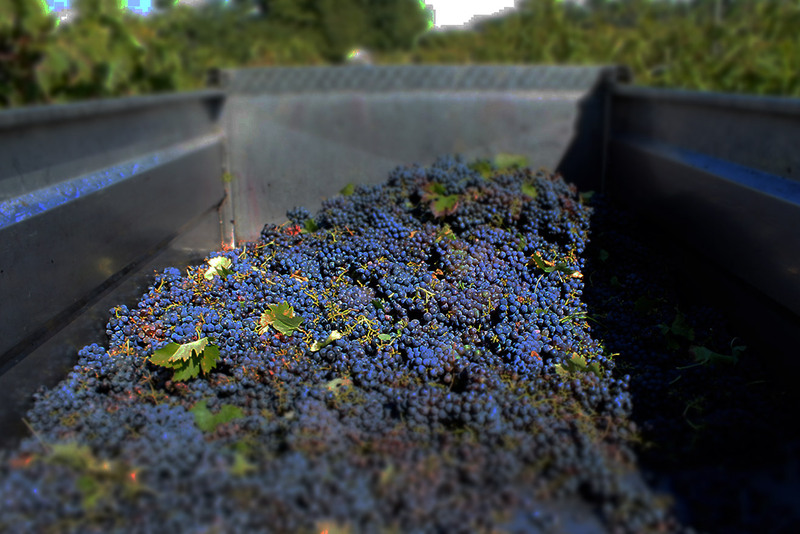 Harvesting – mechanical and manual – requires perfect timing: the selection of harvesting dates is fundamental for the quality of the future wine and must be determined according to our enological goal, using ripening curves which take into consideration the grapes’ sugar content, acidity, pH and in the case of red grapes, also the polyphenol content. 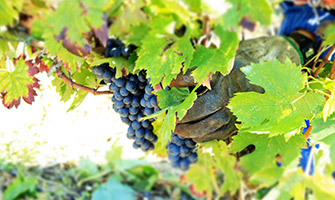 For complete and balanced grape ripening it is fundamental to have a sufficient leaf surface: indeed, the leaves ripen the grapes by photosynthesis and also shade the bunches from the sun, for direct sunlight would burn them. We use an index (LAI – leaf area index) that gives the ratio between surface of leaves exposed to photosynthesis and vine yield. With our planting densities, the leaf area of one vine varies between 1 and 1.7 square metres, depending on varietal, for each kilo of grapes produced.